TalkTools helps those with speech, oral placement and feeding difficulties. Using an approach based on sensory and tactile input. TalkTools combines caregiver and therapist lead approaches. 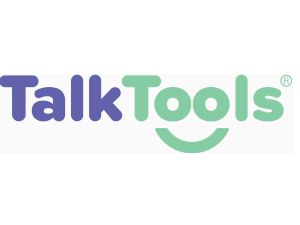 Parents and caregivers can learn the basics of TalkTools, and use these with their child. TalkTools techniques are not usually used in isolation, but form part of an overall approach to communication and feeding therapy. We have written leaflets to explain some aspects of TalkTools therapy and equipment. Therapy equipment to complement TalkTools programmes. therapy uses therapy tools to train and transition muscle movements for speech production.